Look who's wonderful! Ginna Claire Mason, who's been the Glinda standby in Broadway's Wicked for the last year, will star as the Good Witch herself in the touring production of the blockbuster musical. Mason will join the tour on March 15 when Wicked plays the Landmark Theatre in Syracuse, NY. Mason's additional stage credits include the national tours of Newsies and Flashdance, as well as regional productions of Thoroughly Modern Millie, Grease and Hairspray. The current touring company of Wicked also features Jessica Vosk (Elphaba), Isabel Keating (Madame Morrible), Fred Applegate (The Wizard), Harry Bouvy (Doctor Dillamond), Kristen Martin (Nessarose), Andy Mientus (Boq) and Jeremy Woodard (Fiyero). Based on the novel by Gregory Maguire, Wicked has music and lyrics by Stephen Schwartz, and a book by Winnie Holzman. The show's popular score includes the hits “Defying Gravity,” “Popular” and “For Good.” Since opening on Broadway in 2003, Wicked has been performed in over 100 cities in 16 countries around the world and is the winner of over 100 international awards including the Grammy Award and three Tony Awards. 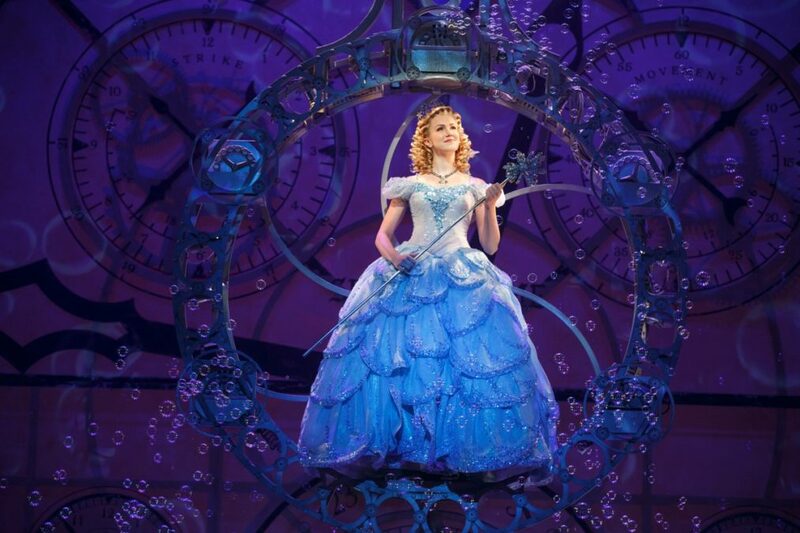 Wicked has amassed nearly $4.3 billion in global sales and has been seen by over 50 million people worldwide.